In case you didn’t see on the last update, Castoff is gonna be taking a hiatus for a few weeks while I’m away from my computer traveling! The comic will return to regular updates next month- No exact day yet, but I’ll keep you all posted! In the meantime, I’m gonna be posting some guest art from other artists! Make sure to check back and check those out! If you can’t stand the cliffhanger I’m leaving this on (I didn’t plan it I’m sorryyyyy ;-;), the next 2 pages are already up on Patreon! And if you wanna discuss the comic with other readers, come join the Castoff Discord! Last thing! 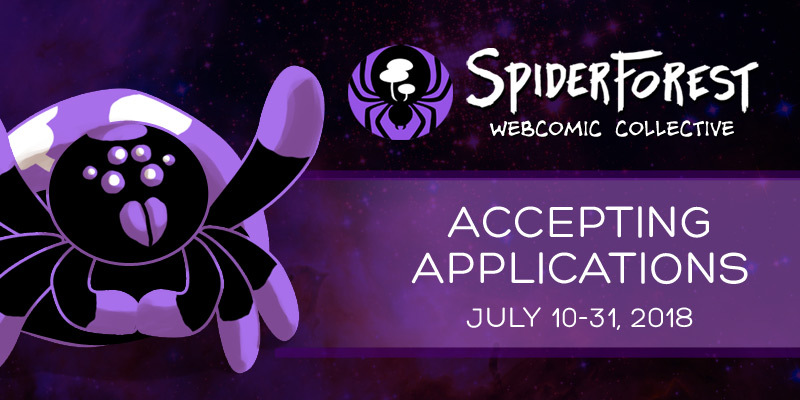 Spiderforest applications are still open! Fellow comic creators, now’s your chance to get in on the best comic community on the web! (get it because spiders WINK) Apps close up soon, so go apply before you miss out!